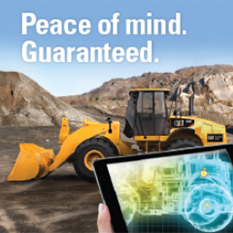 Why should you purchase machines by Caterpillar®? Equipment manufactured by the worldwide heavy equipment leader provides the rugged reliability, superior performance, unsurpassed durability and excellent fuel efficiency that can have a positive impact on your company’s bottom line. Wheeler Machinery Co. has been Utah’s exclusive Cat® dealer since 1951. We can serve all of your heavy equipment needs in the Beehive State, including cites such as Salt Lake City, Vernal, West Jordan, South Jordan and St. George. 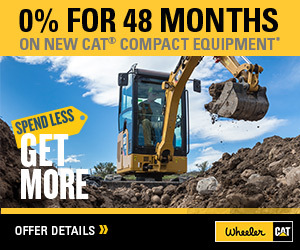 There are currently more than 300 types of new Cat equipment for sale, and you’ll find them all at Wheeler Machinery. We have everything from backhoe loaders and skid steers to articulated trucks, dozers, excavators and more. New Cat equipment gives you access to the latest technological innovations that will enable you to get more work done in less time. And with features such as spacious cabs and user-friendly controls, your machine operators will remain fresh and productive during even the longest workdays. Cat equipment is available that will provide flawless execution of a range of tasks, such as digging, hauling, material handling, crushing, loading and more. 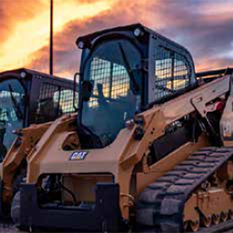 Whether your industry is construction, mining, agriculture, oil & gas or landscaping, you’ll find the perfect Cat machine to bolster your fleet. And when you buy brand-new Cat equipment, you can be sure it will give you many years of productive service in even the most challenging operating conditions. You can check out our complete selection of new Cat equipment online. If you’d like a closer look, stop by the nearest Wheeler Machinery Co. location in Utah. We’ll be happy to help you explore your Cat equipment options!